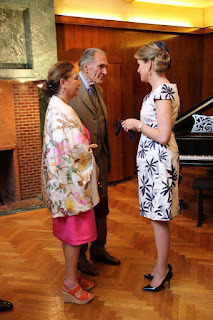 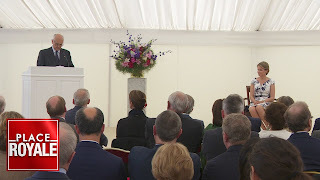 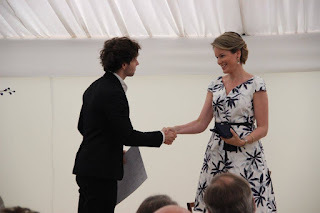 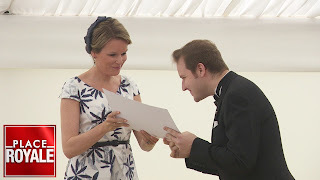 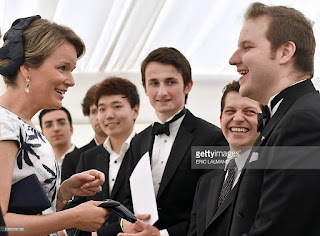 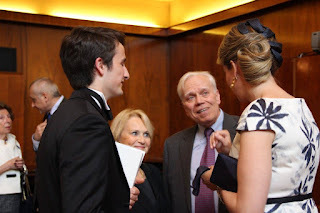 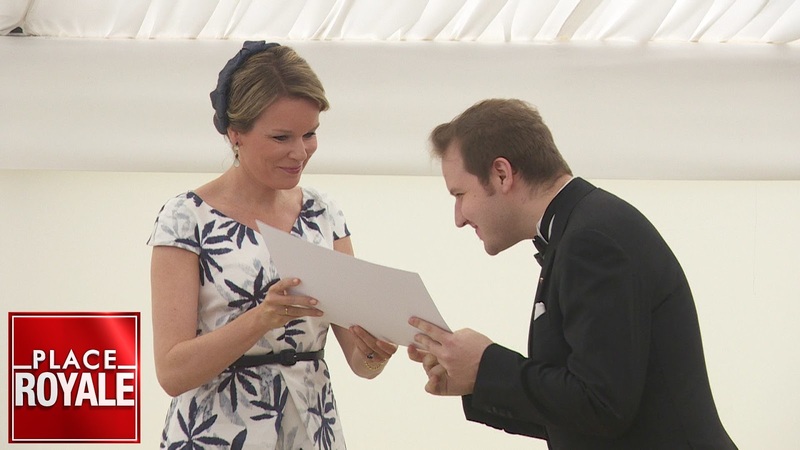 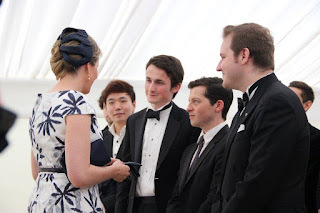 Queen Mathilde handed out the awards to the laureats of the Queen Elisabeth Competition for piano 2016, at the royal music chapel in Argenteuil. 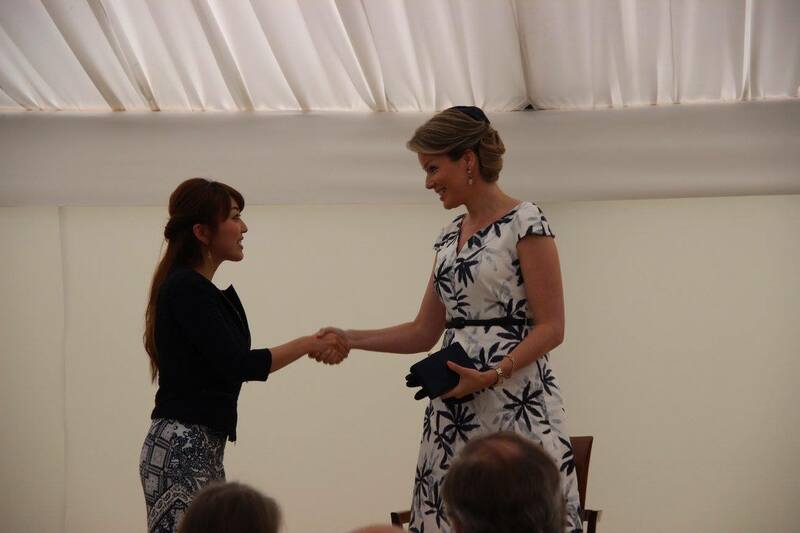 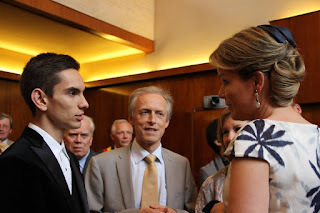 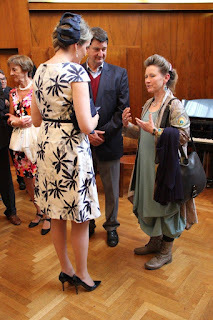 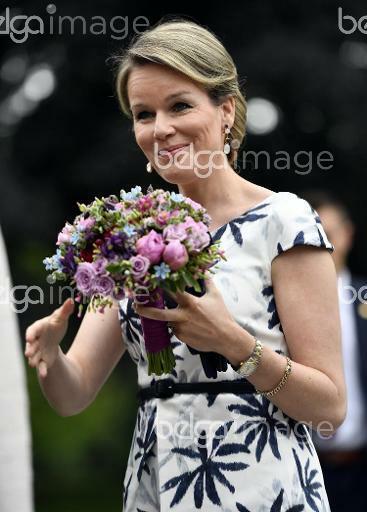 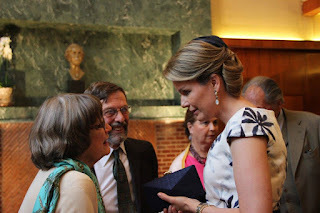 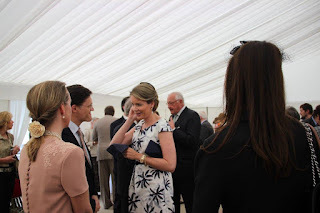 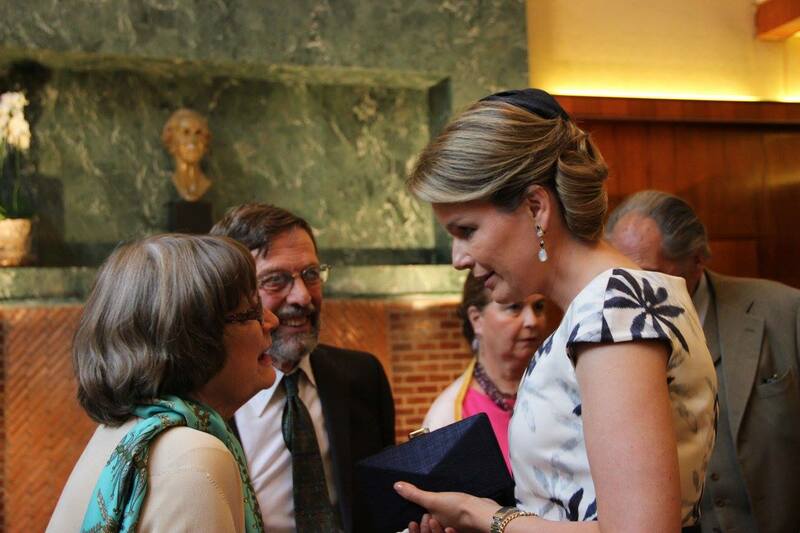 Inside the Music Chapel, queen Mathilde talked to the laureats and their Belgian host families. 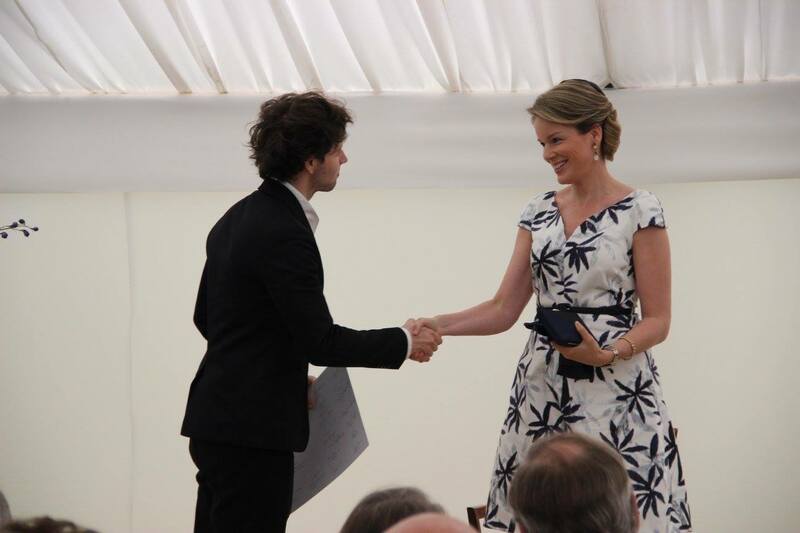 The actual award ceremony took place in a tent outside. 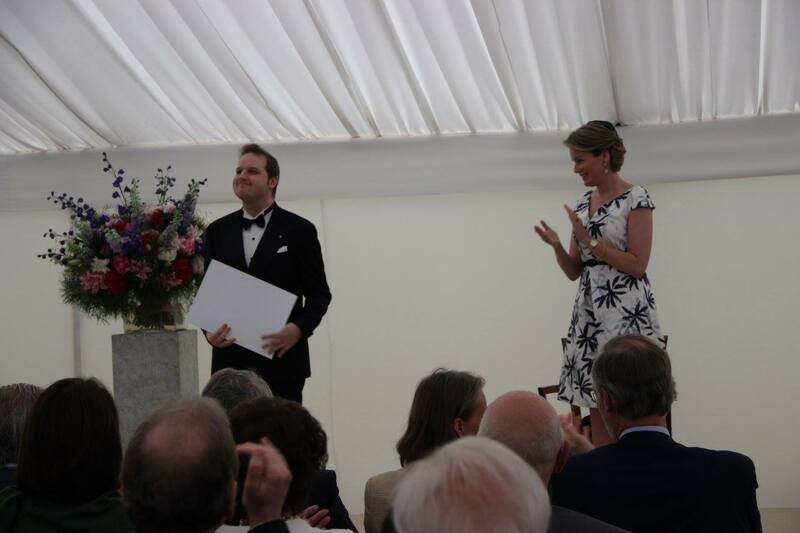 Mathilde handing out the official certificate to the winner, Lukas Vondracek.